Accompanied by his nephew Harry and his guide Hans, Professor Von Hardwigg follows directions in a coded message left by sixteenth-century alchemist Arne Saknussemm to the crater of the volcano Sneffels. There they descend into a subterranean world that is home to marvels from the prehistoric past that could never exist in the world above ground. 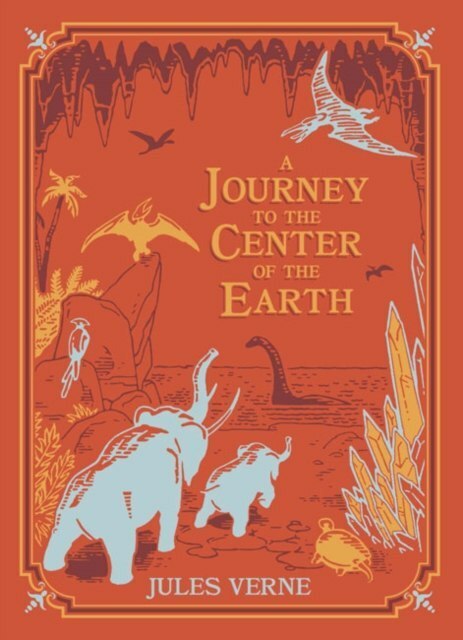 One of his styled "extraordinary voyages," Jules Verne's Journey to the Center of the Earth is a masterpiece of adventure that has never been out of print since it was first published in French in 1864. This edition of Verne's novel features more than 50 full-page illustrations by the distinguished artist Edouard Rio.